You have questions about online poker legalization in New York and we have the answers. Below are some of the most common questions asked regarding potential iPoker expansion and what to expect once online poker is legal. Q: What progress has been made in legalizing online poker in New York and what are the odds that a bill will pass? This will be the third consecutive year that online poker will be discussed in the state legislature. In 2013, an attempt was made to attach online poker to the state budget but backlash from the Assembly forced it out. In 2014, S6913 and A09509 were introduced as companion bills in the legislature. While the measures didn’t go to a vote, it did begin parties discussing the matter and this will lead to a new bill being introduced sometime in 2015. At the moment, it is viewed unlikely that a bill will pass in 2015 but some believe that further discussion and hearings will be held on the matter. Despite the fact that three states have legalized iPoker, the market is still new and some are taking a “wait and see” approach. An online poker bill will likely pass sometime in the future and the timing will likely depend on the advancing of measures in other states such as Pennsylvania. Should Pennsylvania join New Jersey in spreading online poker, it could force New York to legalize the game in order to keep pace. Q: How can New York legalize online poker when the UIGEA and the Wire Act makes poker illegal? A common misconception of the Unlawful Internet Gambling Enforcement Act (UIGEA) is that it makes online poker illegal. The UIGEA effectively prohibits banks from processing funds related to gambling. This is based on the laws of the state. In regards to the Federal Wire Act, there has been significant clarification as to its application to online poker. In December 2011, the United States Department of Justice issued a memo that clearly stated that the Wire Act was only applicable to sports betting. Q: Will PokerStars and other popular online poker sites be available in New York? The answer to this question will depend on the final language of any bill passed by the state legislature. Last year’s bill included a “bad actor” clause that would effectively ban any online poker site that took bets after the UIGEA came into law. PokerStars is the primary site that would be affected under any bad actor clause as many of the other US facing sites have either gone out of business or have not shown an interest in taking part in the legalized U.S. marketplace. However, should a bad actor clause not become part of any bill, PokerStars would be free to apply for a license like any other online poker provider. Q: Which New York online poker sites will I be able to play at? A site with a likely prescience in New York is 888 Poker. At present, 888 is the only company to operate in each state in the U.S where online poker is legal. The company’s versatility makes it a prime candidate as it can operate as a standalone site or as a network of sites with their All-American Poker Network brand. At present, Caesars does not operate an online poker site in the state of New York but that does not necessarily mean they will not offer online poker through WSOP.com. The arms of the company that runs the site, Caesars Interactive Entertainment, could form a partnership with a NY casino to operate in the state. Should this happen, expect the site to compete for the top spot. PartyPoker has proven to be one of the strongest brand in poker worldwide and has been one of the strongest rooms in New Jersey. With no strong ties to a casino brand, expect bwin.Party to make a move to operate in New York. Their promotions and tournaments are world-class and the site should be one of the top sites in the state. Pala Casino is the only legal Native American operated online gambling operation in the United States. They have boasted that Pala Poker is on the way to Atlantic City and expansion to New York would make perfect sense. With half of the casinos in the state run by Native Americans, Pala should have no problem finding a partner should they decide to expand. Should New York decide to do away with their bad actor clause, PokerStars and Full Tilt will certainly operate in the state. Operated by Amaya Inc, PokerStars is the #1 online poker site in the world. By the time New York legalizes online poker, PokerStars should have a strong prescience in the New Jersey market. Full Tilt is a wholly owned subsidiary of Amaya and a solid alternative to PokerStars. Q: I don’t live in New York. Will I be able to play on sites operating with a New York iPoker license? No. In order to play online poker in NY, you must be physically located within the state. Visitors to the state will be allowed to play provided they have went through the proper registration process. Q: How can I register to play online poker in New York? Players will be able to register for an online poker account either online or live in person at selected casino locations. In order to register online, players will have to submit proof of identity to include their social security number. If a site is unable to verify your identity, you may be required to mail or bring in proof of your id or residency. Live registration will take place at live casinos affiliated with online poker sites. In order to register, just go to the cage of the casino associated with your online poker site. Make sure you take two forms of identification and proof of residency such as a mortgage, lease or major utility bill. Q: How will I be able to deposit money onto my online poker account? You will be able to fund your online poker account either in person or online using multiple payment processors. Please note that some banks may not allow online poker deposits from credit cards due to policies in connection with the UIGEA. States such as Nevada and New Jersey experienced these problems in the early months after online poker went live. An alternative to depositing online is making a live deposit at the casino cage of the casino partner of your online poker site. Just head to the casino cage and you will be able to deposit there. Make sure you take two forms of identification. 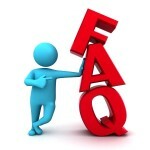 Q: What guarantees will I have that I will be paid when I request a withdrawal? New York online poker laws will include provisions that will force providers to segregate online poker funds into separate accounts from operating accounts. This ensures that the money is available to players when they request a withdrawal. This measure is a direct result of what happened with Full Tilt Poker back in 2011. The site failed to segregate player funds from general operating funds and the company began using player funds to operate the business. Ultimately, the company ran out of money and players were not paid until PokerStars purchased the company. In addition to segregated funds, any online poker provider in New York will be bound to the regulations set forth by the New York State Gaming Commission. As such, players will be able to petition the commission for assistance in recovering funds should a provider refuse to pay. Q: What protections will be in place to prevent cheating? One New York legalizes iPoker, the state will be required to setup regulations that cover all aspects of the game and that includes cheating. Going by what has been done in other states, you can expect the state to require constant monitoring of all gaming activity online. Part of this monitoring will include programs that will actively look for any unusual activity by users. When unusual betting activity is noticed, it is logged and then reviewed by the proper department. If cheating is determined, proper action will be taken. Also, as part of these regulations, players will be able to petition the provider for assistance with cheating. Contact the support department of your site and they will be required to open an investigation on any suspected cheating. If your provider is unable or unwilling to help, you can escalate the matter all the way to the NYSGC and they will contact the provider on your behalf. Q: I’ve heard talk about New York forming interstate compacts for online poker. What are interstate compacts and how do they benefit iPoker? An online poker interstate compact is an agreement between two or more states to share player pools. For example, if 888 Poker decides to operate in New York, they could setup an agreement with their sites in Nevada and Delaware to share poker player pools. The primary benefit for a interstate compact is the increased number of players available for each site. If New York has 500 players, Nevada 250 and Delaware 50, then you would have a combined pool of 800. This give players more incentive to play and will ultimately increase liquidity for each state.